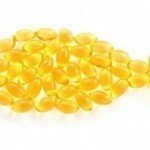 The Infamous Fish Oil/Prostate Cancer Study? | Angela M.D. The Infamous Fish Oil/Prostate Cancer Study? Wait? Isn’t Fish Oil Supposed to be Good for Me??? The Journal of the National Cancer Institute recently reported data from the selenium and vitamin E Cancer Prevention Trial (SELECT) that supported evidence that fish oil supplementation may increase the risk of prostate cancer. Before we freak out here let’s look a little further into the data. 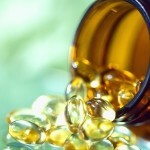 First, the primary goal of the SELECT study was to determine if vitamin E could be used to prevent prostate cancer. The data concluded that patient’s taking 400 IU of Vitamin E had a 17% increased risk of prostate cancer. The study was not designed to evaluate the role of fish oil supplementation in prostate risk. 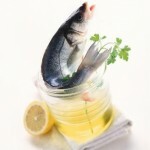 The fish oil data was gathered because they measured plasma fatty acids (plasma phospholipids) –ironically, these levels tend to fluctuate after a meal is consumed. A better study would measure the red blood cell concentration of fatty acids which is a better indicator of actual omega 3 consumption over the past 4-6 weeks. The difference in data in the two groups was 0.2% which is virtually nothing. The study did conclude that the that the patients with the highest concentration of EPA/DPA and DHA-3 fatty acids had a 71% increased risk of prostate cancer. However, the study contained no documentation of any patient taking fish oil or even eating fish in their diet. So how does that extrapolate out? My suggestion is to continue to do your research, and hopefully this will stimulate more studies researching actual fish oil supplementation and diet in correlation to disease. My bet is that Fish Oil and Omega 3 supplementation will prove beneficial like all of the other studies.